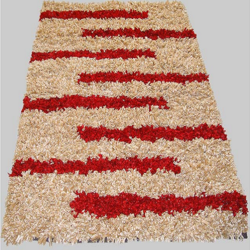 Pioneers in the industry, we offer multi color shaggy carpets and acrylic shaggy rug from India. We are enlisted amongst the leading names in the industry engaged in offering a quality range of Multi Color Shaggy Carpets. To be at par with the international standards, these offered carpets are fabricated using optimal grade yarn for a number of stitches and density pile per square inch. These provided multi color shaggy carpets can be availed in various shapes and designs. 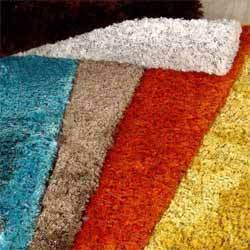 Our provided multi color shaggy carpets are applauded and demanded for the features like durability and smooth texture. Note: Price of products are approx. and completely depends on design and customisation of products.